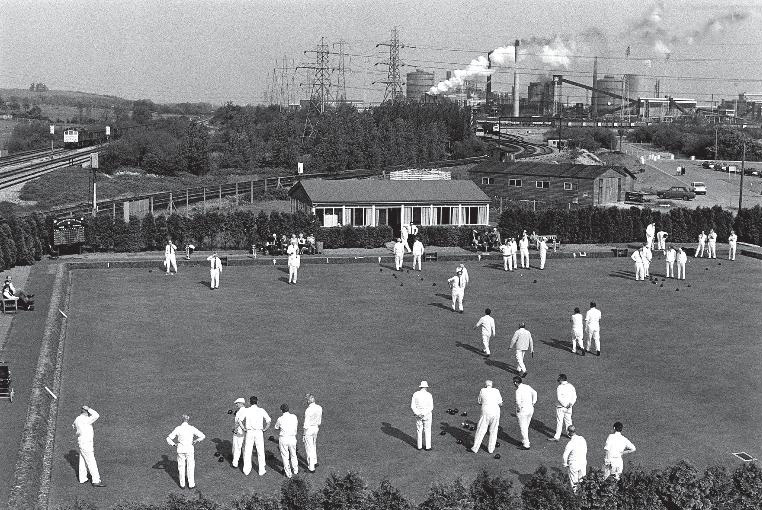 Newport Bowls Club. Wales, UK, 1971. Visual Communication Quarterly is an international, peer-reviewed journal of theory, research, practical criticism, and creative work in all areas of visual communication. Our goal is to promote an inclusive, broad discussion of all things visual, while also encouraging synthesis and theory building across our fascinating field of study. We define "visual" in the broadest sense of the word-from dreams and cognitive theory through gesture and geography, as well as issues concerning visual ethics, visual ecology, representation, visual media in all forms, and visual behavior. Methods range from tightly controlled quantitative studies through critical analysis, essays, qualitative scholarship and creative art. VCQ, the official publication of the Visual Communication Division of the Association for Education in Journalism and Mass Communication, has published regularly since 1994. For 11 years, VCQ was distributed to more than 10,000 professionals and scholars through News Photographer magazine of the National Press Photographers Association. Our mission has broadened beyond visual journalism, design and media to address the need for a publication encompassing the complex and wide-ranging field of visual communication and visual studies across media, art and science. Our new format and distribution system not only allow us to publish more articles and creative work, while maintaining rigorous peer review, but also will facilitate international access of articles and images through on-line databases. VCQ's audience includes scholars, researchers, educators, and professionals in the visual communication fields, including photojournalism, visual studies, graphic arts, visual rhetoric, and visual literacy. A JOURNAL OF RESEARCH, THEORY, AND PRACTICAL CRITICISM WITHIN ALL AREAS OF VISUAL COMMUNICATION.